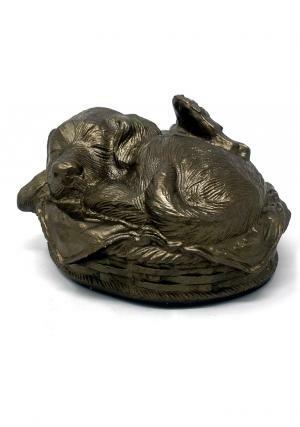 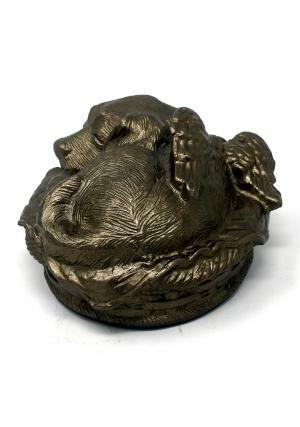 Precious aluminium pet bronze cremation urn is a brand new bronze adorable pet sculpture urn. 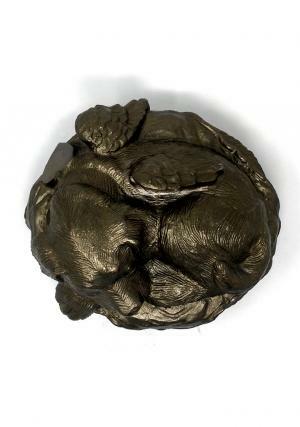 The Dog pet urn is made of aluminium, engraved beautifully as watchable cat with felt lined base and top layer is coated in bronze finish. 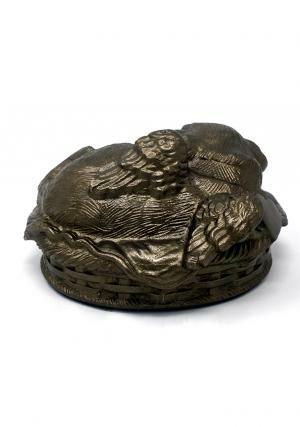 Bronze pet cremation urn for ashes opens at bottom of base and acts as a secure seal, makes perfect satisfaction to the family who deserves to preserve the cuddling cat in the urn. 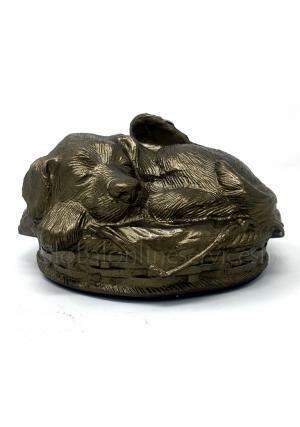 The Kitty pet dog urn is measured to weight 0.83kg 5 inch height . 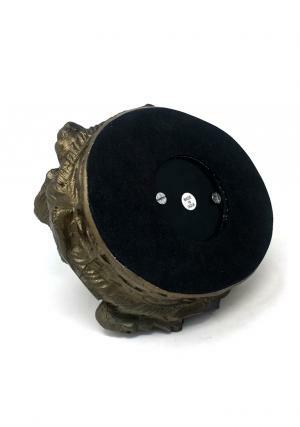 Medium urn capacity: 40 cubic inches, weight: 0.83 Kg; dimensions (inches): height: 5", free standard delivery in UK or selected expedite shipping!